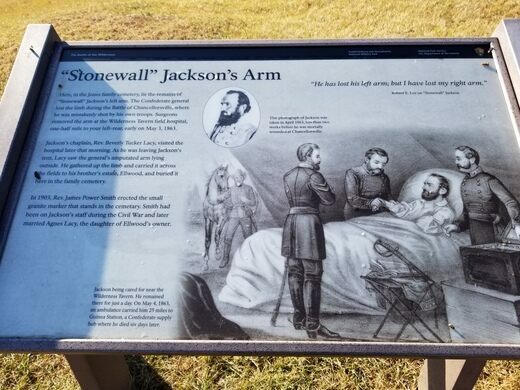 Most of Civil War superstar Thomas Jonathan “Stonewall” Jackson was buried in a Lexington, Virginia, cemetery that now bears his name, but he was so famous at the time of his death that his amputated left arm was spirited away to its own separate grave. Take an otherworldly journey in a school dedicated to out-of-body experiences. The remains of a failed attempt at medieval nerdery are hidden deep in the woods of Virginia. It was just after dark on May 2, 1863. Jackson had just launched a devastating attack against Union forces at Chancellorsville. Returning to his own lines with several staff officers, Jackson, ever the aggressive soldier, decided to conduct reconnaissance in the area. As he and his staff rode through the woods near Confederate lines, a North Carolina regiment, unable to see who was riding up on them, opened fire. Jackson was struck by three bullets, two of them shattering his left arm. The general was evacuated from the area and given medical treatment, but the arm couldn’t be saved and was amputated. Pneumonia set in, and on May 10, 1863, the South lost its most effective tactician. While Jackson’s body would travel to Lexington, where he had taught before the war, his severed arm would receive its own burial. Thinking that the limb of so great a solider was too precious to simply throw on the regular body part trash pile, Jackson’s unofficial company chaplain, Reverend Tucker Lacy wrapped the arm in a blanket and took it to his family cemetery. The reverend gave the limb a standard Christian burial and placed a marker above the site. 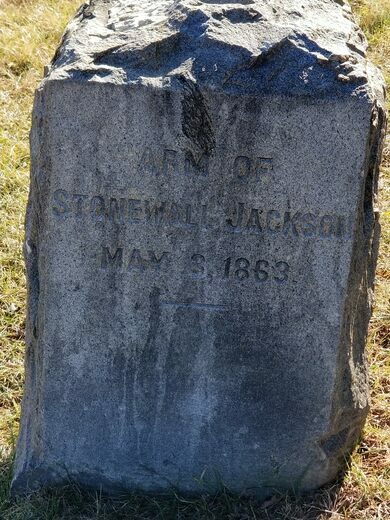 Supposedly Stonewall Jackson’s arm was dug up and reburied numerous times in the ensuing years and there is no concrete evidence that it still resides in its original burial space, but the simple gravestone remains to remember one of the oddest instances of hero worship in the history of battle. To find the actual grave you need to go to Ellwood House. The arm is on the property, behind the house, past herb garden near the family cemetery. This war hero's old shop remembers the fine line between medicine and quackery during the Revolutionary War. A bunker "with enough U.S. currency to replenish the cash supply east of the Mississippi" in the event of nuclear war now protects nitrate film. A blank headstone topped with a pile of pennies marks the final resting place of the infamous assassin.